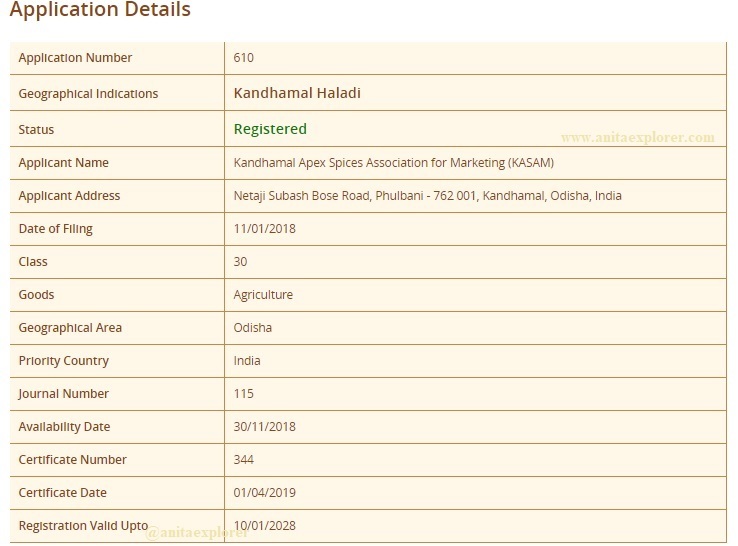 The botanical name of ‘Kandhamal Haladi’ is Curcuma Longa L.
The origin of the name is Curcuma and is derived from the Sanskrit kumkuma, referring to both turmeric and saffron, used in India since ancient times. Turmeric has been used in Asia for thousands of years and is a major part of medicine systems like - Ayurveda, Siddha, Unani, and traditional Chinese. Turmeric was first used as a dye, and then later for its medicinal properties. Turmeric is a wonderful spice that has healing properties and is suitable for household, cosmetics and medicinal use. 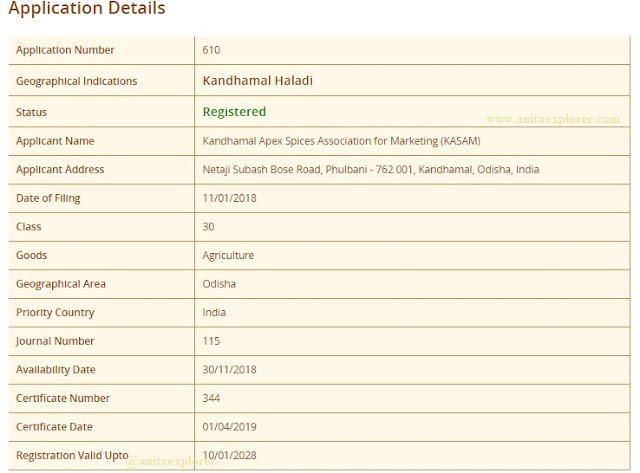 Kandhamal Haladi is a famous spice that is found in the Kandhamal District from 19 degree 34’ to 20 degree 36’ m to83 degree 34’ to 84 degree 34’ m altitude. Kandhamal is the centrally located district of Odisha predominantly inhabitated by SC & ST population. About 60% of the geographical area is hilly and with forest cover. This area is blessed with a congenial agro‐climatic condition for cultivation of various spices mainly turmeric, ginger, mustard and tamarind etc. Turmeric is the main cash crop of the tribals. Mr. L. S. S. O. Mally (Annual District Gazetteer 1908) indicates the ancientness of the Kandhamal Haladi cultivated by the Tribals. So proud that our Organic Turmeric has got recognition today! 1. Organic- Traditional methods are used for cultivation with no usage of fertilizers or pesticides. 2. Tribal farmers Religious Rites/Culture- Kandhamal Haladi has been grown by tribals and is associated with religious rites and cultural practices. 3. Cultivated since time immemorial- Indigenous communities have practiced traditional farming techniques from time immemorial. 4. Livelihood lifeline of more than 60,000 families - 50% of the population of Kandhamal district is involved. The cultivation begins in the summer months of April and May and is harvested in December through to February. The harvest collectively reaps no less than 26,000 tonnes and is worth more than 300 million. 5. Environmental resilient and has sustainability in adverse climatic conditions. 6. Cost effective - less cost of production suitable for marginal farmers. 1. Colour- Golden Yellow- brighter than the other local variety of Odisha that is faded yellow in colour. 3. Taste- Pungent & Unique from other local varieties. 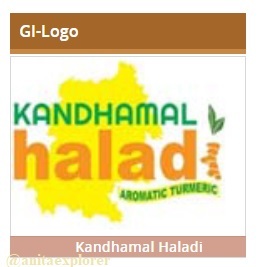 With Kandhamal Haladi being the latest addition, India now has 344 GIs and Odisha now has 15 GI tags. You can read about the other GIs of Odisha here. 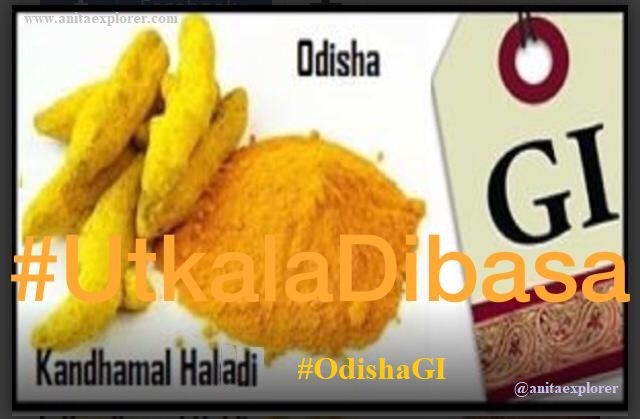 Odisha's pride this special variety of turmeric! Great!Hope our farmers from odisha will get better price realization. Great news for Kandhamal. It is a unique product of Kandhamal which has the special brand. I also thankful to KASAM for the achievement. Great & unique natural matefmat.